The Dashboard view is the most common screen seen in Periscope. The dashboard view is user-configurable and consists of multiple viewlets. 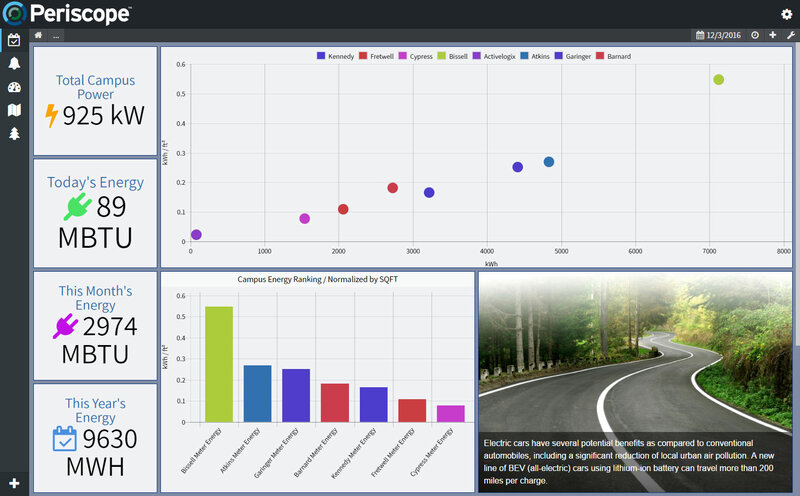 Dashboards can be set up to monitor an aspect of one building or an entire campus of buildings. Once in place, viewlets can be moved around and organized as you see fit. Viewlets can also be scaled appropriately by grabbing the bottom right corner and dragging to the desired size. On mobile devices, the views will dynamically scale to fit the screen’s proportions.